High School Youth Group (PYGS) meets each Sunday afternoon, from 4-6 pm, in the basement youth lounge. Sunday, March 24, we will enjoy snack and spend some time relaxing and exploring different prayer stations. Middle School Youth Group (NUBS) meets each Friday, from 7-9 pm, on the top floor in the Middle School lounge. Friday, March 22, we will enjoy snack, play some games, and pack lunches for our brothers and sisters who are served by Connections for the Homeless. 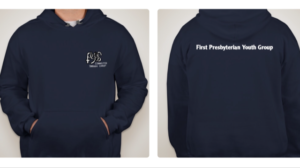 Get your youth group sweatshirt orders in! The Youth Advisory Team has designed both middle school and high school versions of the sweatshirt. Cost is $15. 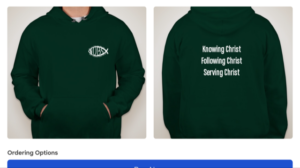 To order, contact Pastor Amanda with your name, size and version you want (MS or HS). Available in adult small through 3XL. Make your payments here for the 2019 Summer Missions Trip to New Orleans. Questions? Contact Pastor Amanda at agolbek@firstpresevanston.org. Registration now open for Middle school Summer Mission Immersion Experience! 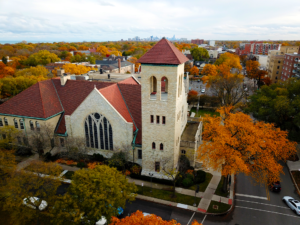 All 6th through 8th graders (completed Spring 2019) are invited to join us June 23-26 as we serve our brothers and sisters in Christ in the Chicago area. This will be a fun way to get to know one another better and learn about what it means to serve and live out our faith. Cost: $100, scholarships are available. Registration deadline: Sunday, Mar. 3. Registration forms can be found HERE, at the youth board near the front desk or by contacting Pastor Amanda.